Psychedelics, or psychedelic drugs, are a subclass of a broader class of drugs commonly referred to as hallucinogenic drugs. These drugs alter one’s conscious perception and thinking processes (cognition) in such a manner that the individual’s conscious experience of the world is altered in a way different than other drugs alter it. For instance, central nervous system depressants and central nervous system stimulants simply amplify familiar states of conscious experience, whereas psychedelic drugs alter these in such a manner that they are no longer familiar states, but to many people represent “new” states of consciousness. Most of these drugs are believed to primarily affect the neurotransmitter serotonin, although many have multiple effects. There are literally hundreds of different compounds that are classified as psychedelics or hallucinogens, including well-known drugs like LSD, magic mushrooms, peyote, other various plants, mescaline (also contained in peyote), ketamine (special K), and phencyclidine (PCP). Of course, there are hundreds of other substances in this class, many of which are so new that they are not even on controlled substances lists. There is a misconception that marijuana and/or cannabis products are hallucinogens; however, these actually belong to the drug class cannabinoids, which is a class of drugs that does exhibit some hallucinogenic properties but also exhibits properties of stimulants and central nervous system depressants. The hallucinogenic properties of cannabis pale in comparison to the hallucinogenic properties of the drugs discussed in this article. 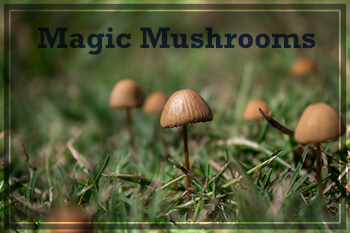 This article will discuss magic mushrooms, peyote, and LSD. In general, the principles discussed in this article that are applied to these three specific psychedelic drugs can also be applied to many other drugs in this class. Apart from different cultural variations in the use of peyote and other mushrooms, typical users of psychedelic drugs are younger, often fairly well educated, and often individuals seeking to broaden their spiritual or cognitive experiences. These drugs are frequently mixed with other drug. Individuals who mix psychedelic drugs with other drugs are often putting themselves at risk due to poor judgment and potential overdose issues with drugs like alcohol, narcotic drugs, benzodiazepines, and stimulants. LSD (lysergic acid diethylamide) is a drug that even when taken in very small amounts produces very powerful alterations of mood and vivid visual hallucinations. Most often, individuals who take LSD experience euphoria; however, three can be quite a range of symptoms that include extreme wellbeing to feelings of severe anxiety and even of total despair and hopelessness. LSD is typically taken in a tablet or a liquid form that can be taken with certain types of ingestible papers. 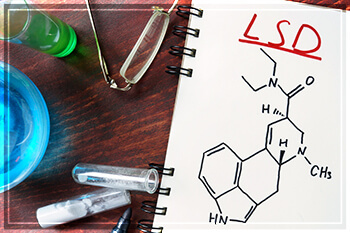 There remains to be no significant documented physical effects from long-term use of LSD. Even though individuals appear to develop some level of tolerance to LSD, there is no significant literature describing withdrawal symptoms; thus, there is no evidence that physical dependence on LSD occurs. There does not appear to be any significant literature associating LSD use with the development of a substance use disorder or addiction, although there are most certainly isolated cases of chronic LSD abuse. There are some potential emotional issues that appear to be associated with long-term use of LSD. Some research reports that some long-term users of LSD may have higher rates of depression, anxiety, and issues with motivation to engage in typical everyday tasks. Individuals undergoing negative experiences (bad trips) can potentially develop serious emotional issues. Of course, individuals under the influence of LSD are prone to poor decision-making and may suffer accidents related to very vivid perceptual distortions, such as visual hallucinations. There is a potential for a small proportion individuals to develop flashbacks weeks to even years following chronic use of LSD, a condition known as hallucinogen-induced persistent perception disorder (see below). There appear to be no documented case studies of fatalities as a result of overdosing on magic mushrooms alone, as individuals who have suffered fatalities after using mushrooms are also known to have used other potentially dangerous drugs in combination with the mushrooms. Of course, this does not mean that it is impossible to overdose to the point where there is a potential risk. There are also no reports of physical dependence developing from chronic use of psilocybin (exhibiting both tolerance and withdrawal); however, tolerance probably does occur in isolation in people who use the drug regularly. Because of the powerful sensory distortions produced by the drug, individuals under the influence of the drug are certainly prone to engaging in poor judgment and in being associated in accidents. In addition, there might be some instances of several emotional discomfort or even potential psychosis due to the hallucinogenic effects caused by the drug. 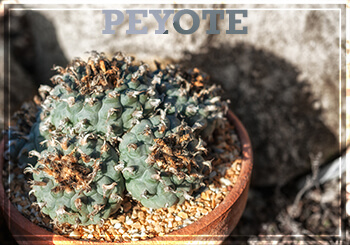 Peyote is a spineless cactus that needs a number of small protrusions that are commonly referred to as buttons. The buttons are taken and processed for the psychoactive ingredients found in peyote. The buttons are cut off and then dried out. They can be soaked in alcohol or water, or chewed. Some individuals grind the buttons into powder and smoke it. The drug processed from peyote is mescaline, a well-known hallucinogenic drug. In the United States, certain members of Native American tribes and churches are allowed to use peyote in their religious services, even though it is classified by the United States Drug Enforcement Administration as a Schedule I controlled substance. Like the other drugs mentioned above, it appears that tolerance to mescaline (peyote) develops rather rapidly; however, there are no reports of physical withdrawal symptoms in chronic users who stop using peyote. Peyote does not appear to be a drug associated with significant drug abuse. There are no reliable reports of serious physical damage resulting from overdose; however, as with any of these drugs, the potential for accidents or engaging in behaviors that can be risky due to poor judgment while under the influence of peyote is certainly present. The person spends a significant amount of time using, trying to obtain, or recovering from use of the drug. The person neglects important commitments due to drug use. The person habitually uses the drug with other potentially dangerous drugs of abuse, such as alcohol, narcotic medications, or other drugs. The person continues to use the drug despite suffering negative consequences from use. The person tends to use the drug in situations where it is physically dangerous to do so (e.g., driving). One or more of these signs may indicate the potential development of a substance use disorder. One significant, but rare, consequence of chronic use of psychedelic drugs is the development of a disorder known as hallucinogen-induced persistent perception disorder. This disorder occurs when individuals who no longer use these drugs experience flashbacks weeks, months, or even years after their last use. Flashbacks consist of experiences that typically occurred while under the influence of the drug, but they occur without actually taking the drug. It appears that a little over 4 percent of individuals who chronically used hallucinogens or psychedelic drugs develop this disorder. 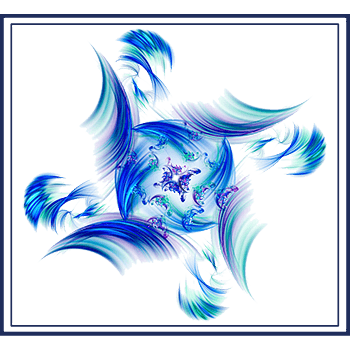 The flashbacks appear to come out of nowhere, and individuals are totally surprised by them. Common experiences include flashing lights, flashing colors, seeing halos around people, and severe emotional distress. People can also experience very vivid and frightening hallucinations as they are totally unexpected. Individuals who have co-occurring disorders (a psychological disorder like depression or bipolar disorder alongside chronic use of psychedelic drugs) appear to be at risk for this disorder. Other risk factors include having a history of negative experiences under the influence of the particular psychedelic drug (e.g., bad trips), consistently using other drugs in combination with psychedelic drugs (e.g., such as alcohol or marijuana), and a chronic history of using psychedelic drugs like LSD or mescaline. There is no formal treatment for this disorder. Individuals who suffer from it typically receive medications to address any specific symptoms and may also learn stress reduction and relaxation techniques.